If you love golf and you want to combine that love with helping the community, this event is the perfect one for you. 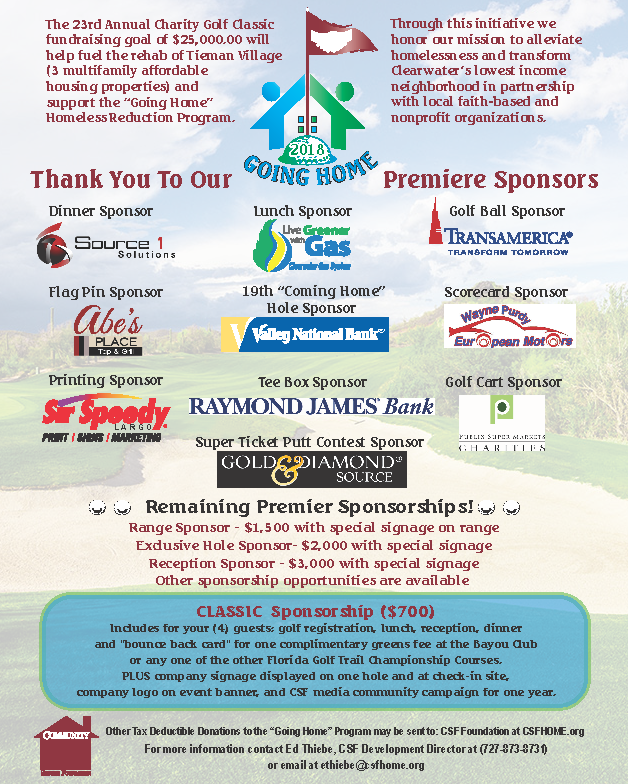 Held every year, the focus of the Charity Golf Classic this year is raising money to support the “Going Home” Homeless Reduction Program. This is part of The Community Service Foundation’s ongoing commitment to reducing homelessness and transforming the lowest income neighborhoods , improving the quality of life of all who live in them. This also works to lift the quality of life of the community as a whole. The Community Service Foundation, in an historic alliance with various local faith-based, non profit organizations, and local businessmen, is working to change the situation affecting the homeless people who live in and around Clearwater, Florida, giving real help that provides practical solutions for those who need it. 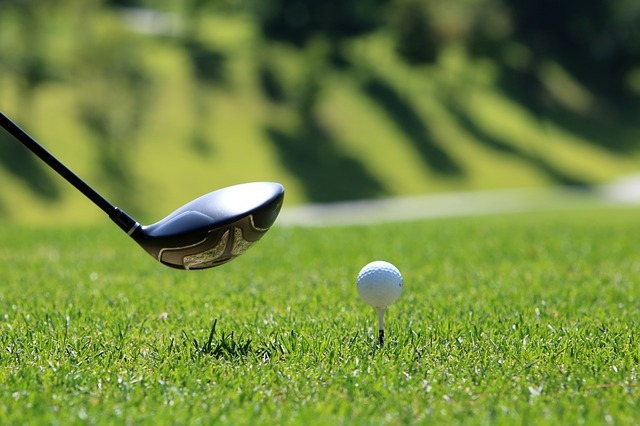 The 23rd Annual Charity Golf Classic fundraising goal of $25,000.00 will help fuel the rehab of Tieman Village (3 multifamily affordable housing properties) and support the “Going Home” Homeless Reduction Program. Tieman Village is located at Woodlawn Street And Martin Luther King Boulevard, in the Lake Bellevue Revitalization Neighborhood and, as mentioned, comprises 3 multi-family rental units. Going Home will provide a number of much needed services for the 70-90 individuals in Clearwater including housing, job training, and mentoring. You still have a chance to help sponsor this, and to help bring those who need it a real solution that is going to change their life. This will have a lasting impact on both the individuals helped, and on the community at large. Play some golf and help to change some lives at the same time.